حسامی‌فر, عبدالرزاق. (1395). پراگماتیسم و فلسفة تحلیلی. دو فصلنامه تاملات فلسفی, 6(17), 187-217. عبدالرزاق حسامی‌فر. "پراگماتیسم و فلسفة تحلیلی". دو فصلنامه تاملات فلسفی, 6, 17, 1395, 187-217. حسامی‌فر, عبدالرزاق. (1395). 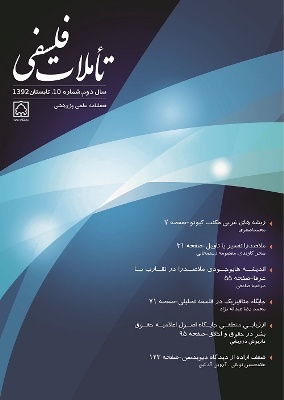 'پراگماتیسم و فلسفة تحلیلی', دو فصلنامه تاملات فلسفی, 6(17), pp. 187-217. حسامی‌فر, عبدالرزاق. پراگماتیسم و فلسفة تحلیلی. دو فصلنامه تاملات فلسفی, 1395; 6(17): 187-217. پراگماتیسم در طبقه‌بندی فلسفۀ معاصر به دو سنت تحلیلی و قاره‌ای، جایگاه بینابینی دارد و البته قرابت آن به فلسفۀ تحلیلی بیشتر است. پیوند میان پراگماتیسم و فلسفۀ تحلیلی را در نیمۀ نخست قرن بیستم می توان در تأثیری ملاحظه کرد که اندیشۀ پدیدآورندگان این سنت، به ویژه ویلیام جیمز، بر فیلسوفان تحلیلی، به‌ویژه ویتگنشتاین، گذاشته است؛ چنانکه می‌توان مشابهت‌هایی میان سخنان جیمز و بخشی از نظریات ویتگنشتاین، مثل نظریۀ مشابهت خانوادگی، مشاهده کرد. تأثیر و تأثر میان این دو سنت فلسفی در نیمۀ دوم قرن بیستم چندان گسترش یافته است که فیلسوفان برجستۀ سنت تحلیلی در این دوره پراگماتیست هایی چون کواین، کریپکی، پاتنام، رورتی و سلارز بودند و از این رو مفهوم پراگماتیسم تحلیلی مطرح شد. در این مقاله ابتدا دربارۀ نسبت میان اندیشه‌های ویلیام جیمز و ویتگنشتاین بحث می‌شود و پس از آن نسبت میان پراگماتیسم و فلسفۀ تحلیلی در نیمۀ دوم قرن بیستم در پرتو بررسی اندیشه‌های رورتی و سلارز کاویده می‌شود. - جیمز، ویلیام. (1370). پراگماتیسم، ترجمۀ عبدالکریم رشیدیان. تهران: انتشارات و آموزش انقلاب اسلامی. - Brandom, Robert. (2000). Making It Explicit: An Introduction to Inferentialism. Cambridge, Mass. : Harvard University Press. - Bunnin, Nicholas and Jiyuan Yu. (2009). The Blackwell Dictionary of Western Philosophy. Malden and Oxford: Wiley-Blackwell. - Critchley, S. (2001). Continental Philosophy: a very short Introduction. Oxford: Oxford University Press. - Follesdal, Dagfin and Friedman, Michael. (2006). American Philosoohy in the Twentieth Century. Daedalus, Vol.135, No.2, On the Humanities, pp.116-126. - Glock, Hans-Johann. (2008). What is Analytic Philosophy? New York: Cambridge University Press. - Goodman, Russell B. (1994). What Wittgenstein Learned from William James. History of Philosophy Quarterly, Vol. 11, No.3, pp. 339-354. - Hallett, Garth. (1978). A Companion to Wittgenstein's Philosophical Inves tigations. Ithaca: Cornell University Press. - Hilmy, S. Stephen. (1987). The Later Wittgenstein. Oxford: Basil Blackwell. - Hookway, C. (1998). Charles Sanders Peirce. in Craig(ed) (1998) Routledge Encyclopedia of Philosophy. London: Routledge, vol. - James, William. (1981). The Principles of Psychology. Cambridge, MA and London: Harvard University Press. - ____________. (1985). Varieties of Religious Experience. Cambridge, MA and London: Harvard University Press. - Kekes, J. (1980). The Nature of Philosophy. Oxford: Blackwell. - Lewis, D. (1963). Philosophical Papers, vol. 1. Oxford: Oxford University Press. - Misak, Cheryl. (2013). Rorty, Pragmatism, and Analytic Philosophy. Humanities, 2, 367-383. - Moore, G. E. (1922). William James, Pragmatism. Philosophical Studies, London: Routledge and Kegan Paul, pp. 97-146. - Morris, Charles. (1937). 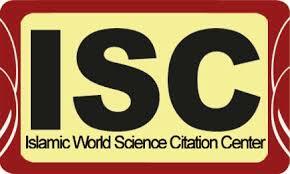 Logical Positivism, Pragmatism, Pragmatism and Scientific Empiricism. Paris: Hermann. - Mundle, C. W. K. (1970). A Critique of Linguistic Philosophy. Oxford: Clarendon Press. - Peirce, C. S. (1934). Collected Papers of Charles Sanders Peirce, vol. V. Cambridge, Mass: Harvard University Press. - Putnam, Hilary. (1981). Reason, Truth and History. Cambridge: Cambridge University Press. - ____________. (1987). The Many Faces of Realism. La Salle, IL: Open Court. - ____________. (1989). Realism with a Human Face. Cambridge, MA: Harvard University Press. - Rockmore, Tom. (2004). On The Structure of Twentieth-Century Philosophy. in Metaphilosophy, Vol. 35, No. 4, 466-478. - Rorrty, Richard. (1986). Pragmatism, Davidson and Truth. in E. LePore(ed) Truth and Interpretation: Perspectives on the Philosophy of Donald Davidson. Oxford: Blackwell, pp. 333-55. - _____________. (1995). Response to Richard Bernstein. In Rorty and Pragmatism: The Philosopher Responeds to His Critics, Edited by H. J. Saakamp, Nashville: Vanderbilt University Press, 1995, 68-71. - _____________. (1997). Introduction to Wilfrid Sellars, Empiricism and the Philosophy of Mind. Cambridge, Mass: Harvard University Press. - Sellars, Wilfrid. (1949). Language, Rules and Behavior. In John Dewey, Philosopher of Science and Freedom: A Symposium, Edited by Sidney Hook, New York: Barnes and Noble, pp. 289-315. - ____________. (1997). Empiricism, and the Philosophy of Mind. Cambridge: Harvard University Press. - Wittgenstein, Ludwig. (1958). Philosophical Investigations, trans. G. E. M. Anscombe, New York: Macmillan.